Russian markets and country-specific exchange traded funds are on a roll after the election of Russia-friendly Donald Trump, appreciating ruble currency and higher oil prices helped strengthen Russia’s outlook. 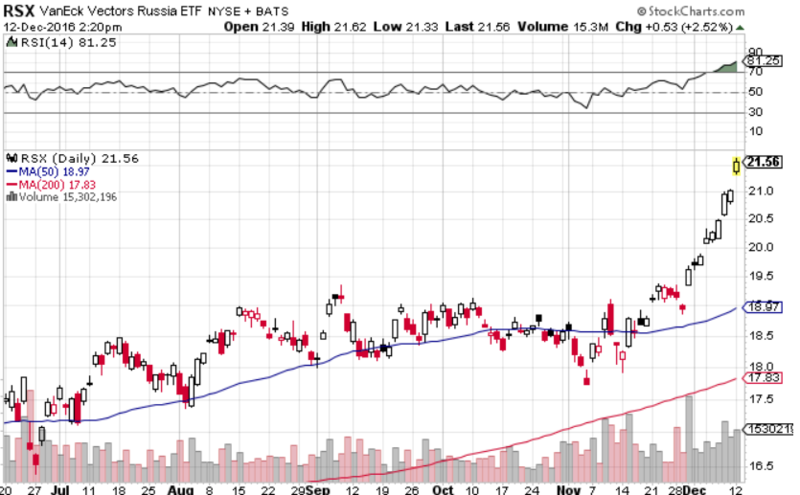 Over the past month, the VanEck Vectors Russia ETF (NYSEArca: RSX) gained 11.9%, iShares MSCI Russia Capped ETF (NYSEArca: ERUS) rose 13.1%, SPDR S&P Russia ETF (NYSEArca: RBL) increased 11.0% and VanEck Vectors Russia Small-Cap ETF (NYSEArca: RSXJ) advanced 9.4%. Meanwhile, the Direxion Daily Russia Bull 3x Shares (NYSE: RUSL), which attempts to deliver triple the daily returns of the same index tracked by RSX, jumped 38.3%. 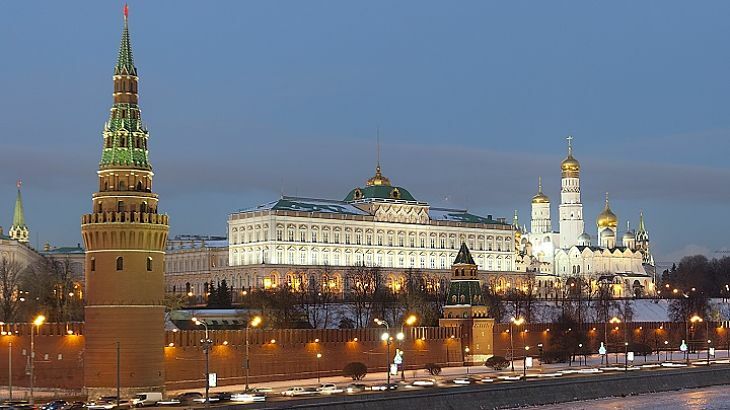 Supporting Russia’s outlook, market observers anticipate a more pro-Russia Trump administration may help ease tensions between two countries and support each others growth. Trump has no explicitly denounced Russia in its involvement in Ukraine’s civil unrest. Some even believe that the President-elect could even end sanctions on Russian energy and financials once Trump takes office, which could improve Russia’s economic outlook. Meanwhile, Russian stocks are improving on a stronger ruble and rising oil prices.